Beautifully remodeled from top to bottom. 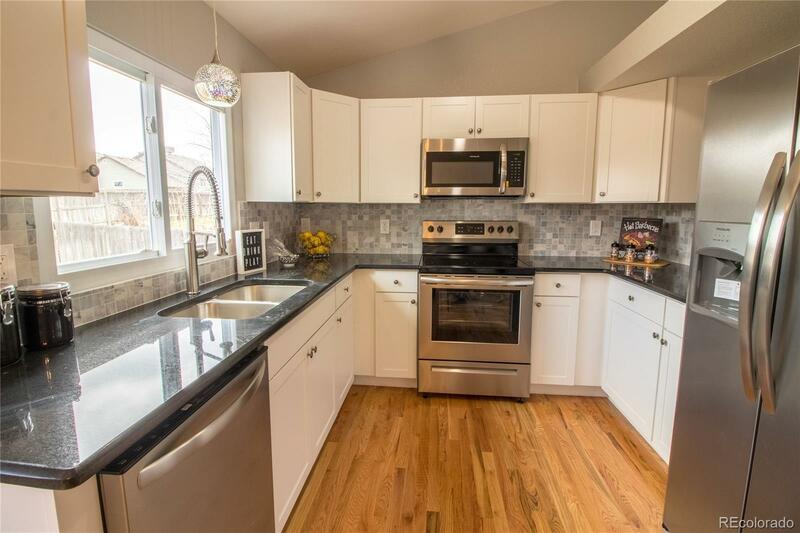 New kitchen cabinets, new slab granite, new stainless appliances, and dazzling backsplash. Brand new hardwood flooring main level. Newer double-pane windows. New texture. New exterior/interior paint. Beautiful updated bathrooms with new tile, tub, toilets and vanities. New doors with new satin nickel hardware, new light fixtures. Thousands spent on updated plumbing and electrical. Newer water heater. Brand new furnace with all new ducting too. New AC. New garage slab and driveway. All done with city permits. Nothing left to do but move in and enjoy!